Stupid arabs, wonder when it gets beheaded… Saudi Arabia becomes first country to grant citizenship to a robot – Zeepertje.com – Facts Fun & News on ISLAM, "The religion of peace"
LONDON: A humanoid robot took the stage at the Future Investment Initiative yesterday and had an amusing exchange with the host to the delight of hundreds of delegates. 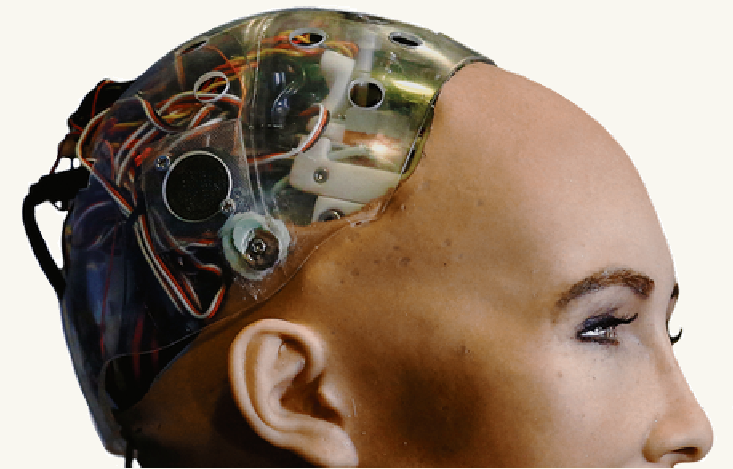 Smartphones were held aloft as Sophia, a robot designed by Hong Kong company Hanson Robotics, gave a presentation that demonstrated her capacity for human expression. 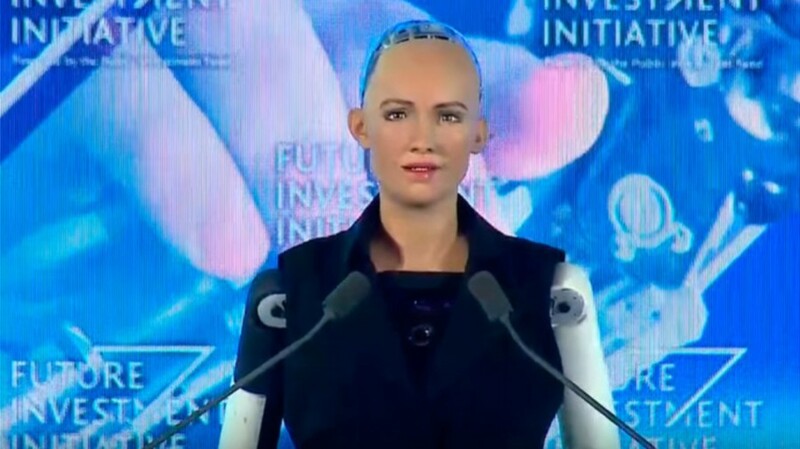 Sophia made global headlines when she was granted Saudi citizenship, making the kingdom the first country in the world to offer its citizenship to a robot. “I want to live and work with humans so I need to express the emotions to understand humans and build trust with people,” she said in an exchange with moderator Andrew Ross Sorkin. Asked whether robots can be self-aware, conscious and know they’re robots, she said: “Well let me ask you this back, how do you know you are human?” “I want to use my artificial intelligence to help humans live a better life, like design smarter homes, build better cities of the future. I will do my best to make the world a better place,” she said. Her desire to achieve more human-like characteristics was rewarded by being granted the first Saudi citizenship for a robot.